Just as our fashion is taking a trip back in time, so are the longboards. Amongst the progressive logs and performance longboards the Old School style is back. With a Classic mid 60’s template, low slung hips and pinched rails the V-Flex has that “Old School feel” allowing excellent pivot from the tail. A touch of “New School” is added with the V-Stringer that tapers out towards the nose giving greater flex and nose-riding capabilities. 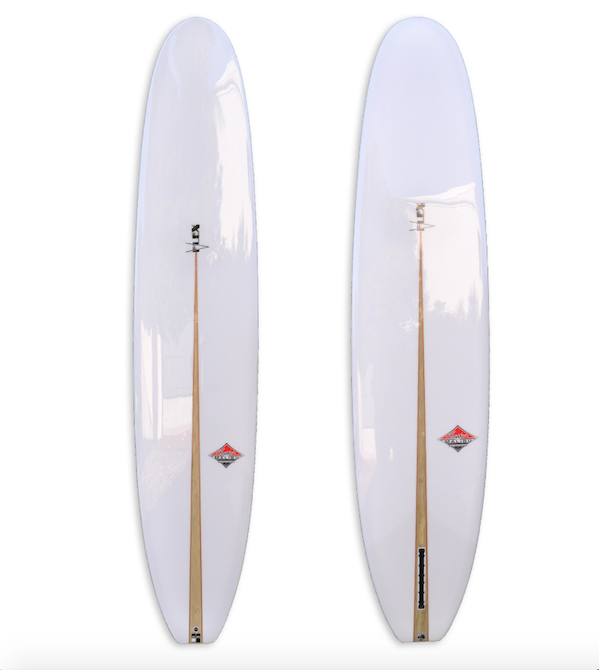 If you’re looking for your next log, check out the V-FLex for a great nose-riding and trimming single fin board to accompany the quiver. Meets the new “logger” competition criteria.